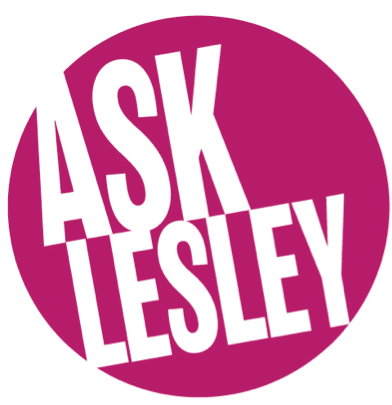 Ask Lesley – How do I get rid of my double chin? 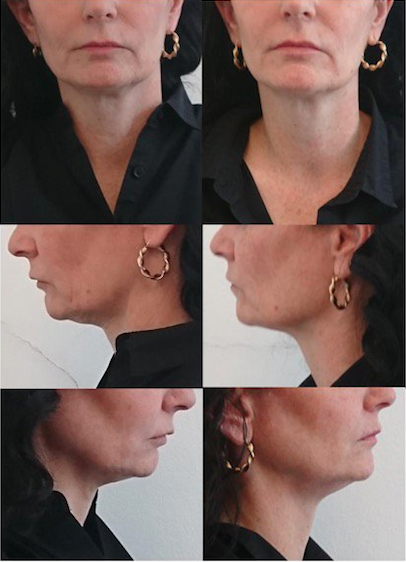 I am often asked about the best way of getting rid of a double chin, or loose skin on the neck, and up to now the answer has been a surgical lift. Why couldn’t someone come up with a non-invasive way of doing this I have said before…after all technology is advancing all the time so surely there has to be a way? The science bit? A specially designed ‘cup’ which encases the entire chin area is held in place and the laser starts to get to work. It very gently begins to warm up and as it does, fat cells absorb energy from the lasers and heat up, then they release their contents – water, glycerol and free fatty acids. The released fat is naturally excreted from the body through lymphatic drainage, giving results that get better over time. Then ultrasound delivers waves into the deeper layers of the skin, stimulating collagen and elastin production, to reduce wrinkles, smoothing the jawline and neck, and banishing jowls. That’s it. I love it so much that I have booked another 3 sessions. No double chin for me! This entry was posted in Anti-Ageing, Ask the expert, Body Beautiful, celebrity, Harley Street Skin Clinic, Lesley Reynolds, Uncategorized. Bookmark the permalink.